Mayor of Kiev Vitali Klitschko and President of the WBC Mauricio Sulaiman, are flying the flag for the nation which has given us the Klitschko brothers, Oleksandr Usyk and Vasyl Lomachenko. For his part the Mayor of Kiev spoke of an ambitious project to build a stadium for great championship events. Mayor Vitali says he`s thrilled and excited to greet Oscar de la Hoya, Sergio Martinez, Lennox Lewis, Evander Holyfield, Roberto Duran, Marvin Hagler, Julio Cesar Chavez, Shawn Porter, Marco Antonio Barrera , among many others. “We will work with the authorities, the promoters and representatives to create the future boxing of Ukraine,” he said. On Tuesday the champions will participate in an auction of boxing memorabilia, in order to create the first Ukrainian boxing school. We chose the southern city of Mariupol, since their children need an educational facility of this type. 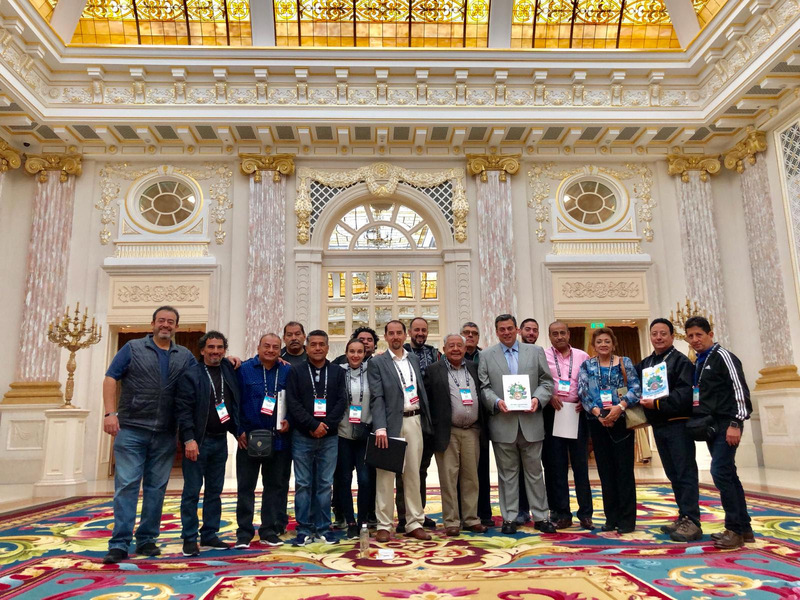 The World Boxing Council Ratings Committee has already started working on its monthly lists during the fifty sixth annual Convention. Boxing`s Premier Summit will be opened by the Mayor of Kiev Vitali Klitschko, who`s the former heavyweight world champion and our Host. Tomorrow this Committee meeting, its president Bob Yalen and secretary Luis Medina will be there to coordinate, roll up their sleeves and take part in the work. The new classifications will be ready on Saturday and will be officially announced next Tuesday. On that self same day, the mandatory defenses will also be defined in each of the divisions.